England’s water consumers are being ripped off. High leakage rates and the privatization of the water supply have provoked a price explosion. Time to bring the water supply back into public hands. Although England is one of the wettest countries in Europe, its water is one of the most expensive. England’s water consumers are being ripped off – and at the core of this rip-off may be the country’s water privatization policy. Bringing water back into public ownership may now be an important issue for public discussion in England and Wales. Currently more than 3.4 billion liters of water leak from England’s and Wales’ water networks. This is almost one quarter of the total supply. If all the pipes were fixed, enough water would be saved to provide up to 22 million extra people every day, without any additional conservation measures. Whereas the English regulator Ofwat and the water companies point out that leakage has been reduced by more than 30% since privatization in 1989, this statement tells only a part of the story. In the past twelve years, leakage rates have risen just as many times as they have declined from a year-to-year perspective. Thus, there is no long-term downward trend in leakage rates. Indeed, leakage remains remarkably high in most parts of England. And despite England’s high level of leakage and dismal water infrastructure, water prices across the country continue to leap. With the most recent increases in water charges, English water consumers will pay up to GBP 499 annually for their water and sewage bills. Indeed, average water bills have soared by 65% since 2003 – double the rate of inflation over the same period. In the first decade of privatization, average household water bills increased by almost 40% in real terms. Such excessive rises are particularly troublesome for the weakest sectors of the society. Today already, 11% of households in England and Wales spend more than 5% of their disposable income on their water bills. Whereas pricing water is recommendable to avoid excessive consumption, high water prices may deprive citizens of one of their most basic needs. Continuously high leakage rates and exploding prices as a consequence of the privatization of water supply should not be a surprise. Indeed, such privatization efforts only turn public monopolies into private monopolies, which are oftentimes even less advantageous than their public counterparts. This points towards a fundamental problem of efforts to privatize water supply systems. In an ideal competition setting, water consumers would be able to choose from a range of different water suppliers in their city, just as one has many options for yoghurts, cornflakes or bottled water in the supermarket. However, setting up a water supplier requires huge and prohibitively expensive upfront investments: The construction of water infrastructure and water networks. It is unlikely to attract more than one water provider with a unique water infrastructure per house. Indeed, water utilities are natural monopolies. Admittedly, private water suppliers are likely to operate their organization more efficiently than public suppliers. However, such efficiency gains may not benefit the public. Unlike public monopolies, private monopolies are businesses. They are more motivated by profits and by their bottom line and not necessarily by the services they provide to the consumers; they run more efficiently in order to maximize the income of their shareholders. Unlike public monopolies, they do not operate only to recover operating costs, but to deliver significant earnings as well. The easiest way to increase profit for a private monopolist is to increase prices. After all, customers have no other option but to pay the soaring water bills. Indeed, water companies in England are highly lucrative. Northumbrian Water’s operating profit, for instance, jumped from GBP 165.3 million in 2001/2002 to GBP 338.8 million in 2011/2012, while South West Water’s leapt from GBP 107 million to GBP 204.7 million. Across England and Wales, water companies collectively made 2 billion in pre-tax profits in 2011/2012 and paid GBP 1.5 billion to their shareholders. Ironically, England’s water supply was initially privatized not only in the hope for decreasing prices, but also to outsource much needed additional investments in the country’s water infrastructure from the public to private operators. However, higher investments imply lower profits. Thus, there is limited incentive for a private monopoly to undertake such efforts. Particularly in a country with abundant water resources, like England, it makes a lot of sense for a private operator to ignore leaks, as long as the costs to repair the system outweigh the immediate value of water. 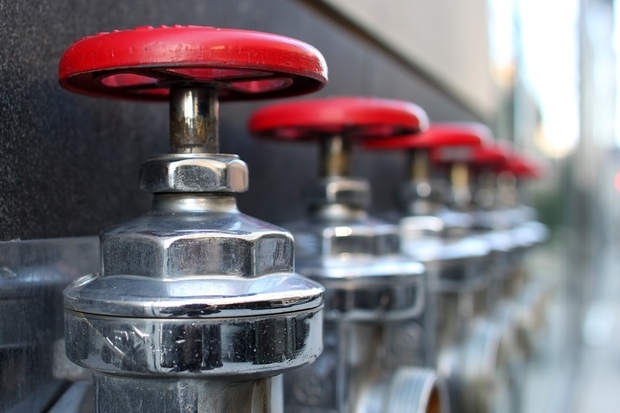 Renationalizing water suppliers may be one option to decrease leakage rates and water prices. Indeed, two of the world’s most efficient water supply companies are in the public sector: Tokyo and Singapore. Their losses are now less than 5%, five times less than many of their English and Welsh counterparts. Scottish Water, a public supplier with no pressure to generate increasingly more profits, also charges only with GBP 324 annually – roughly GBP 50 less than English water companies. In addition, Scottish Water has announced that its price freeze, introduced in 2009, will continue for a fourth successive year. However, renationalization is no panacea since many of the world’s most inefficient utilities are also in the public sector. For example, many public water suppliers in India lose nearly 50% of their water. Also, in times of economic turmoil, government budgets shrink and investments in water infrastructure are postponed. The case of Scottish Water exemplifies the risks and downsides of nationalization. Indeed, leakage rates, for instance, stand at a level considerably higher than in England. Approximately 33% of supply was lost in 2011, compared to 25% in England. However, Scottish Water was able to decrease its overall leakage rate by more than 44% since 2002. Such improvements provide some room for hope. Whether the benefits of privatization outweigh the costs of water in many parts of England is debatable. Because public suppliers do not seek to make profits, they could be – despite the many drawbacks – a better policy choice. At least, this issue now merits a wider and more comprehensive public discussion. Even if no changes take place, a serious public debate on renationalizing the water sector is likely to have a salutary effect in improving the performance of the private sector perceptibly. Asit Biswas is a former member of the World Commission on Water, a founder of the World Water Council, of the Third World Centre for Water Management and of the Club of Tokyo. He has received numerous prizes for his work, including the Spanish Aragon Environment Prize, the Stockholm Water Prize and the highest awards of the International Water Resources Association. Biswas teaches in Singapore and India. Julian Kirchherr is a former research associate at the Lee Kuan Yew School of Public Policy, Singapore.